Litecoin (LTC) on Coinhako and giveaway contest! 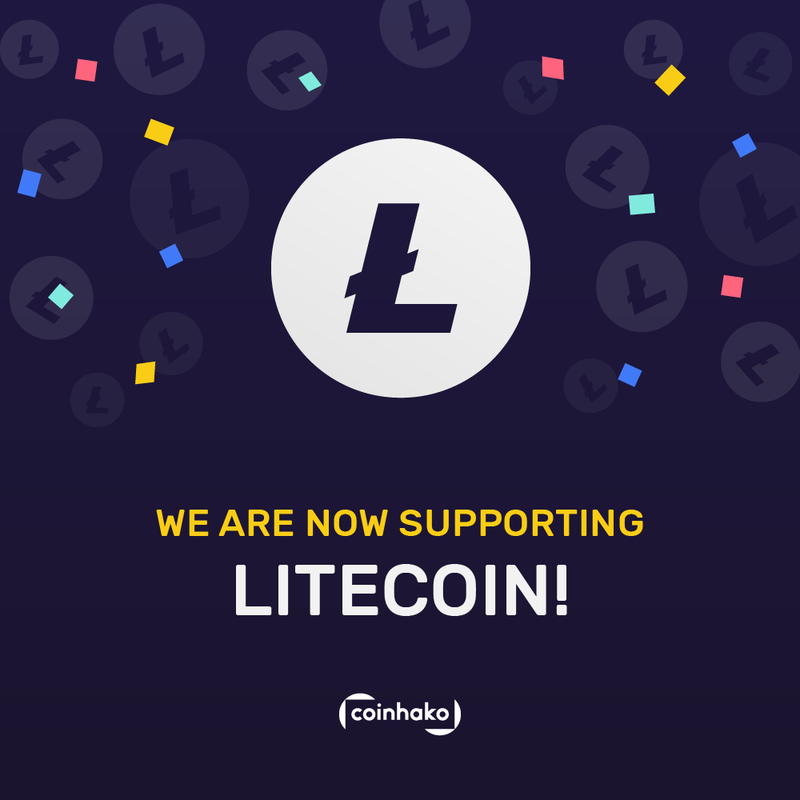 Litecoin (LTC) and trading for ERC20 tokens are now available on Coinhako! We will be organizing a series of giveaway contests in the coming weeks to celebrate our latest additions. 2. Send and receive LTC using your Coinhako LTC wallet. Buy and sell all ERC 20 tokens, on our Coinhako Super Wallet, now! That is another 7 cryptocurrency trade pairs for you on Coinhako! Want to know what tokens are supported? Visit here! Launched in 2011, Litecoin is one of the earliest altcoin and/or spinoff of Bitcoin (BTC). LTC is described as “A peer-to-peer Internet currency that enables instant, near-zero cost payments to anyone in the world”, on its website. This is similar to BTC’s vision, because unlike the majority of altcoins, LTC was created with the intent to complement BTC. Hence, its label as “Bitcoin’s Silver”. 1. LTC has played a key role in the development of cryptocurrencies and BTC over the years. It is commonly used as a testing ground for potential BTC scaling solutions; Segwit and the Lightning Network are some examples of solutions tested on the LTC network. 3. LTC is currently ranked at #7, in trade volume amongst all cryptocurrencies and had consistently maintained a top 5 position throughout most of 2017 and H1 2018. 4. There is a total supply of 84,000,000 LTC with only just over 58,000,000 in circulation.